Remarks Appears in chapel relief in tomb of Kaninisut [I] (owner of G 2155), north wall (top register, third figure from left, name only partially preserved); chapel (KHM Vienna ÄS 8006) found in situ in G 2155. 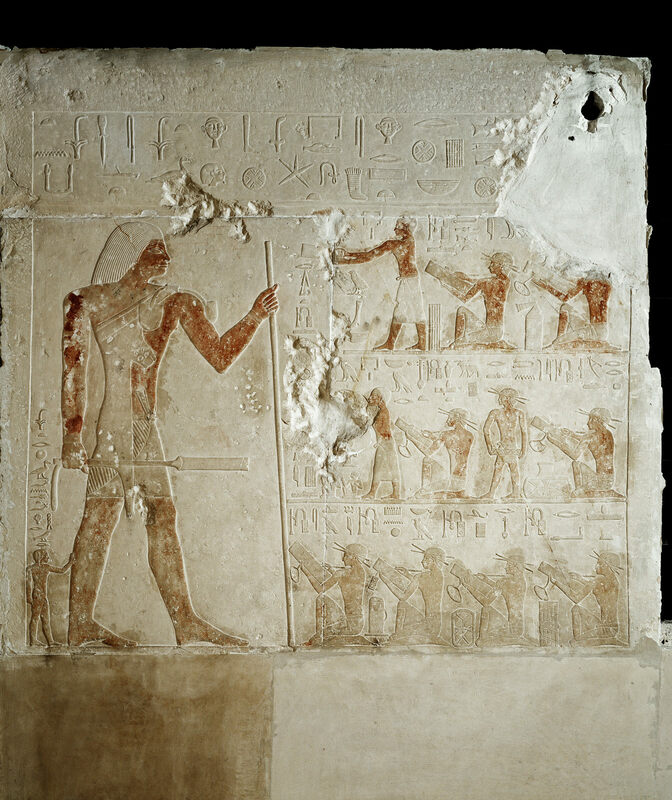 Name possibly Imsekher (see figure with this name, west wall, panel of relief north of north false door, bottom register). Remarks Appears in chapel relief in tomb of Kaninisut [I] (owner of G 2155), north wall (middle register, first figure on left), identified as [jmj-r pr] steward; chapel (KHM Vienna ÄS 8006) found in situ in G 2155. Remarks Appears in chapel relief in tomb of Kaninisut [I] (owner of G 2155), north wall (middle register, second figure from left), identified as [sS] scribe; chapel (KHM Vienna ÄS 8006) found in situ in G 2155. Remarks Appears in chapel relief in tomb of Kaninisut [I] (owner of G 2155), north wall (bottom register, second figure from left), identified as [sS] scribe; chapel (KHM Vienna ÄS 8006) found in situ in G 2155. Remarks Appears in chapel relief in tomb of Kaninisut [I] (owner of G 2155), north wall (bottom register, third figure from left), identified as [sS] scribe; chapel (KHM Vienna ÄS 8006) found in situ in G 2155. Remarks Appears in chapel relief in tomb of Kaninisut [I] (owner of G 2155), north wall (middle register, fourth figure from left), identified as [sS mDAt] scribe of the archive; chapel (KHM Vienna ÄS 8006) found in situ in G 2155. Remarks Appears in chapel relief in tomb of Kaninisut [I] (owner of G 2155), north wall (bottom register, fourth figure from left), identified as [sS] scribe; chapel (KHM Vienna ÄS 8006) found in situ in G 2155. May be same individual as [sS pr-mDAt] scribe of the library Rahetep in D 117. Remarks Appears in chapel relief in tomb of Kaninisut [I] (owner of G 2155), north wall (bottom register, first figure on left), identified as [sS] scribe; chapel (KHM Vienna ÄS 8006) found in situ in G 2155. Remarks Appears in chapel relief in tomb of Kaninisut [I] (owner of G 2155), north wall (top register, second figure from left), identified as [sS mDAt] scribe of the archive; chapel (KHM Vienna ÄS 8006) found in situ in G 2155.